Most of us dread having to clean the bathroom. It’s a tedious process and a chore we’d rather do without. However, when you're ready to remodel your bathroom, there are some features that will help take the hassle out of cleaning by making it easier to keep your bathroom clean. Install a detachable showerhead to make rinsing your bathtub and shower easier. With greater mobility, you will be able to clean the corners of your shower with ease and the cleaning process will be much quicker. Quartz is gaining favor for kitchens and bathrooms. It is less likely than other counter materials to stain and scratch. Quartz is also a breeze to clean. Being a non-porous stone, quartz is more durable and stain-resistant than marble or granite – it is also known for being one of the most attractive surfaces for counters. Even when a bathroom is clean, smudges, fingerprints and water spots on faucets can make it appear messy. Choose a finish that resists these tarnishes. Oil-rubbed bronze is a beauty, complementing any decorating style. 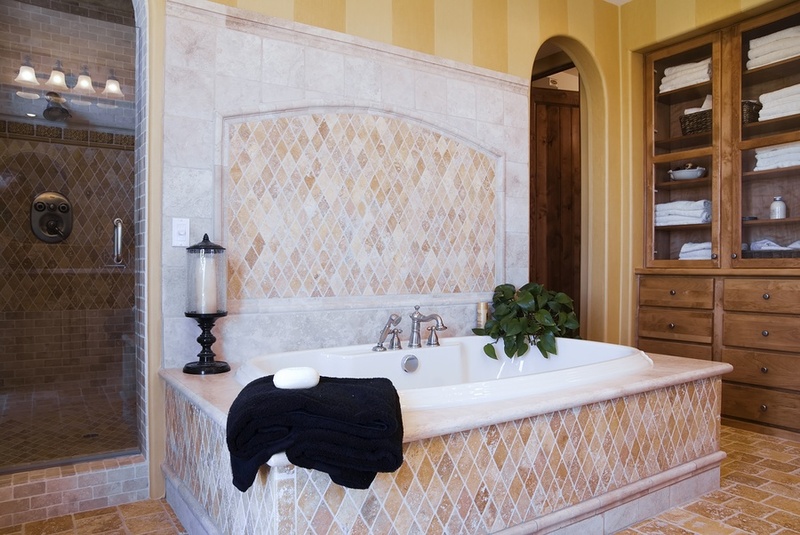 Instead of tile and grout, consider installing porcelain in your shower. This is a gorgeous material that looks like marble, and thin-slab porcelain doesn’t require sealing to retain its finish, so it’s a winning choice no matter how you look at it. You may dislike cleaning the toilet itself, but it’s the hard-to-reach places around the toilet that are the most difficult. A toilet with a skirted base or a wall-mounted toilet will take up less space and make it easier to clean around. Once your bathroom is clean, you can add the finishing touch – window shades. A must for every home, interior shades are the stylish upgrade that provides enhanced natural light while providing privacy and eliminating glare. Contact us today at 702-260-6110 to schedule your free, in-home consultation.